Can artificial intelligence usher in a new era of utilization management? Join representatives from Atrium Health and Covenant Health to explore how predictive analytics and artificial intelligence are building a new framework for smart utilization: advanced technology supporting clinical expertise and productivity. 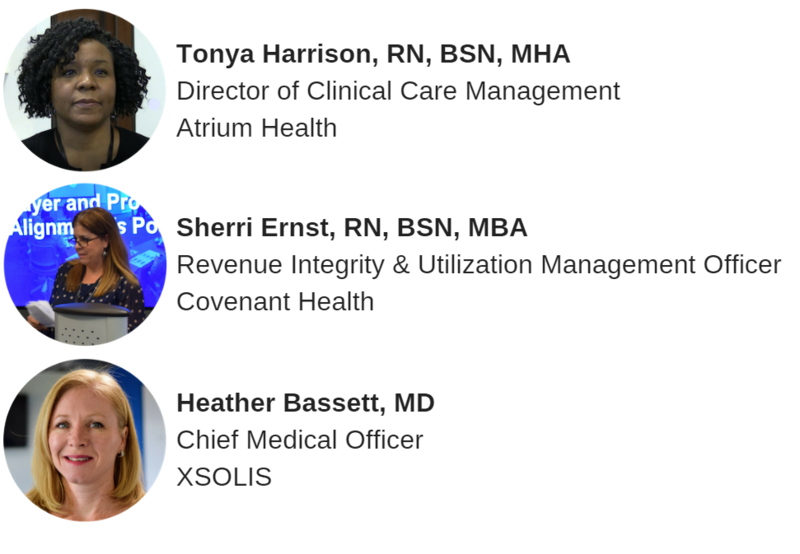 We’ll discuss how analytics allowed Atrium Health to automate 17% of reviews for inpatient discharges across designated payers (including Medicare and Medicaid) and enabled Covenant Health to create a direct line of communication and approval with payer partners, reducing abrasion and denials in the process.